Born to a poor couple who were tenant farmers on a plantation in Mississippi, Anne Moody lived through some of the most dangerous days of the pre-civil rights era in the South. The week before she began high school came the news of Emmet Till’s lynching. Before then, she had "known the fear of hunger, hell, and the Devil. But now there was…the fear of being killed just because I was black." In that moment was born the passion for freedom and justice that would change her life. An all-A student whose dream of going to college is realized when she wins a basketball scholarship, she finally dares to join the NAACP in her junior year. Through the NAACP and later through CORE and SNCC she has first-hand experience of the demonstrations and sit-ins that were the mainstay of the civil rights movement, and the arrests and jailings, the shotguns, fire hoses, police dogs, billy clubs and deadly force that were used to destroy it. A deeply personal story but also a portrait of a turning point in our nation’s destiny, this autobiography lets us see history in the making, through the eyes of one of the footsoldiers in the civil rights movement. I recently read Kathryn Stockett’s The Help and while I enjoyed this story tremendously, I wanted to read something that was less uplifting, more realistic, and told from the perspective of an African-American. Anne Moody’s powerful memoir was the perfect choice. 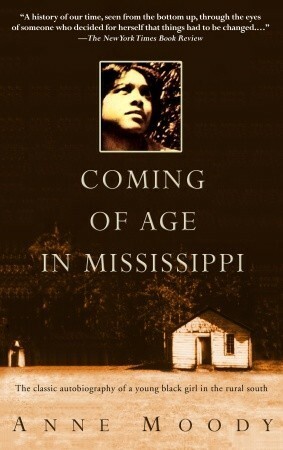 This is a well-told and fascinating story about the author's life growing up in rural Mississippi, and her fight against racism. Her story is chronologically told, from the author's youth in rural Mississippi, her education, family relationships, poverty, racism, violence and finally, her involvement with the Civil Rights Movement. The last section of the book devoted to Moody’s activism was riveting and deeply disturbing. 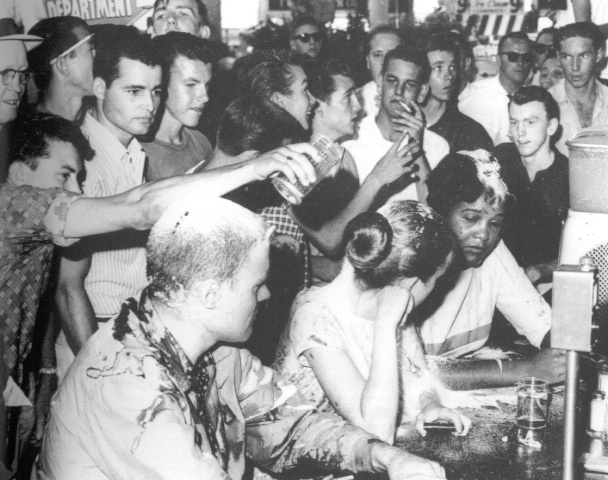 She participated in the heavily publicized Woolworth sit-in, which was known for its violence, and was deeply shaken by the deaths of four black girls in the 1963 bombing of the 16th Street Baptist Church in Birmingham, Alabama. Once a religious child, she questioned her faith in God. Moody provided details about intimidation, beatings, shootings, and other acts of violence enacted by the Ku Klux Klan against African Americans and their white supporters and about the institutionalized racism that kept many black families mired in poverty. I just wish that Moody had spent more time with the story of her activism and the efforts and sacrifices of Martin Luther King, Medgar Evers, and others, rather than mundane details about childhood. I am thankful to Anne Moody and all the other young people who sacrificed their jobs, safety, and lives to make a stand against injustice and change the course of our history and for their stories that keep them alive in our minds and hearts.